This past fall I read two books that featured sentient Artificial Intelligence. And in both cases, the AI was the very best aspect of the entire book, so I'm bringing them together today in all their crazy AI glory. I spent some time eyeing all the good reviews that kept rolling in for Illuminae and itching to read it. When I got my chance, I was not disappointed. Not at all. The year is 2575 and Kady and Ezra's planet has just been invaded by a rival corporation. Their harrowing escape to the evacuation ships is just the beginning. I don't remember the last time I talked so much about a book. I could not shut up about this one. The plot kept surprising me. It felt like every time I turned the page there was some new horrifying development that I was not expecting. I love that the authors weren't afraid to bring together elements from a variety of genres. Amie Kaufman and Jay Kristoff tell their story through a collection of interviews, secret documents, instant messages, and emails. The way that the story is delivered is definitely part of the appeal. The authors do an excellent job distinguishing between the various voices. Consequently I enjoyed reading some of the documents more than I did others. My least favorite were the descriptions of the movements recorded by the cameras. My very favorite by far were the ones taken from AIDAN's core. AIDAN is hands down the best part about this book. I don't want to give away too many spoilers, so I'll just tell you that AIDAN is the AI that runs the flagship spaceship in the convoy. AIDAN is in turns terrifying, intriguing, poetic, and fascinating. 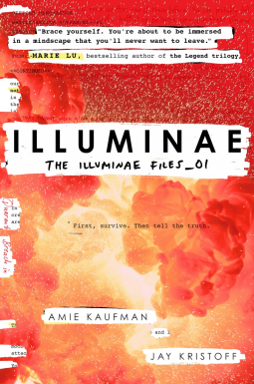 Illuminae ends with a killer set-up for the next book. I'll definitely be back for more. Right now I'd say the sequel is one of my most anticipated books of 2016. I had a rather mixed reaction to The Scorpion Rules. I think my hesitations come mostly from the great expectations I held for a new book by Erin Bow. 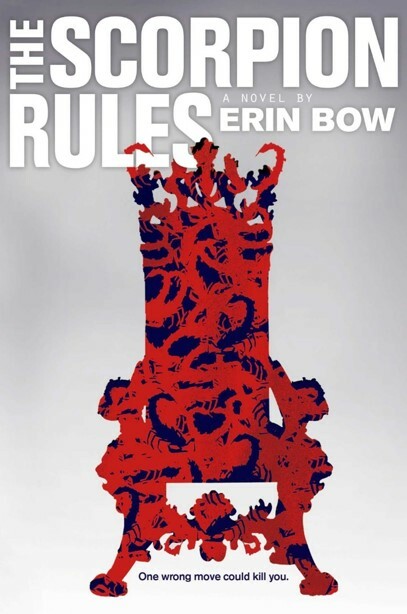 Plain Kate is universally praised, and Sorrow's Knot is magnificent, so I was eager to see what Erin Bow would do with a dystopia/ post-apocalyptic setting. I love the overall premise of The Scorpion Rules. It takes place in the distant future after humanity has nearly decimated itself thanks to global warming and warfare over scarce resources. The savior of mankind, said with a grain of salt, is an amoral Artificial Intelligence named Talis. To maintain peace Talis requires the heir to each nation be raised in his Preceptures where they will be educated and used as hostages. Any country at war, whether the initiator or not, forfeits the life of their child. Greta Gustafsen Stuart, Duchess of Halifax and Crown Princess of the Pan-Polar Confederation is a Child of Peace and our narrator. With her country on the brink of war, she's knows survival is unlikely. I was fascinated by Talis, and the AIs in general, in The Scorpion Rules. Talis is enigmatic, scary, and weirdly fascinating. In many ways he is a complete contradiction. He's a robot but he has a bit of humanity. He's a machine but also nearly a god. He's all powerful but not invincible. He has his own set of morals. I loved all the Utterances sprinkled throughout. These are Talis's sayings and they have the air of holy writ, but they are also so snarky and full of pop culture references. Family is a central theme in the book. Blood binds, of course, but also we see adopted families between both the children and the AI. What one would do for family or what one cannot do for family is central. 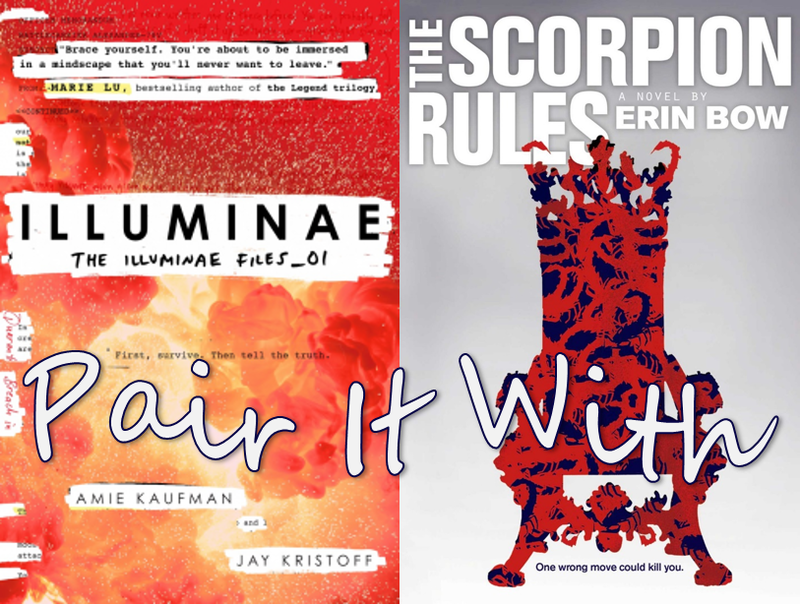 Illuminae and The Scorpion Rules reviewed by JoLee.